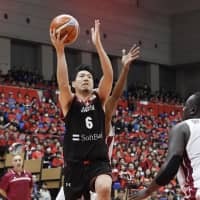 TOYAMA - The Akatsuki Five received a tough challenge from Qatar early but wound up posting a 85-47 victory in a FIBA World Cup Asian qualifier at Toyama City Gymnasium on Friday night. The Japan men’s national team (5-4) extended its winning streak in the preliminaries to five. The Akatsuki Five will face Kazakhstan at the same arena on Monday night. 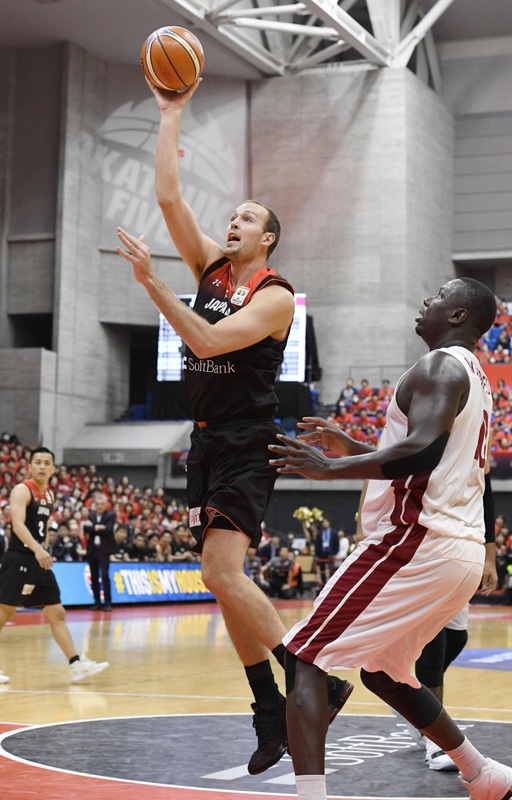 Center Nick Fazekas scored a game high 19 points and three other players scored in double figures for Japan before an announced crowd of 4,161. Toyama native and forward Yudai Baba racked up 13 points to give a big spark to the hosts. Fazekas, a naturalized player, had three steals as well. 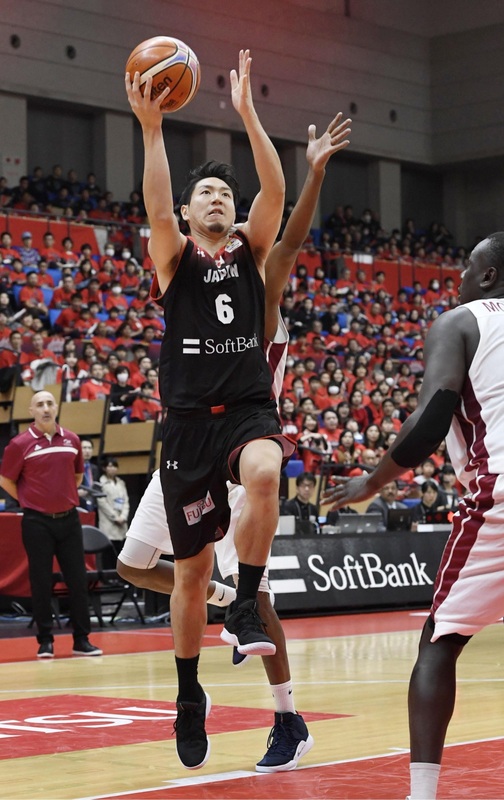 Guards Makoto Hiejima and Daiki Tanaka contributed 12 points apiece. Japan employed a zone defense from the beginning and got off to an 18-8 start. But Qatar (2-7) bounced back by taking advantage of its physicality and took the lead in the second quarter. Qatar led 32-31 at halftime. In the second half, the hosts regrouped around Hiejima and Baba, and Qatar appeared to run out of steam and was not able to run as well as it did earlier. 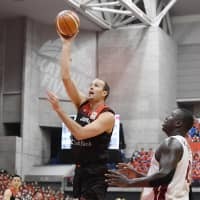 Baba delivered a high-energy performance, while Hiejima, who picked up three fouls in the first half, hit two key 3-pointers. Starting point guard Yuki Togashi hurt his right leg in the third quarter. But Tanaka, usually a shooting guard, became an emergency replacement at the one and limited the damage for the Akatsuki Five. Japan coach Julio Lamas summed up his team’s performance by stating that it played “two different games” in the first half and second half. But he credited his players for their resiliency. Japan held the Middle Eastern country to just 15 second-half points. The hosts dominated in the paint, outrebounding Qatar 49-26 and outscoring the visitors 40-20 in the rectangle. Japan also grabbed 15 offensive rebounds. 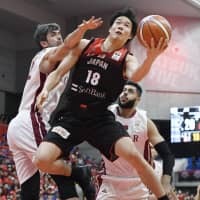 Japan’s strong defensive effort was one of the reasons for the big win while playing without stars Rui Hachimura and Yuta Watanabe, both of whom are currently busy for their seasons in the United States (Hachimura for Gonzaga University and Watanabe with the NBA’s Memphis Grizzlies and Memphis Hustle of the NBA G League). 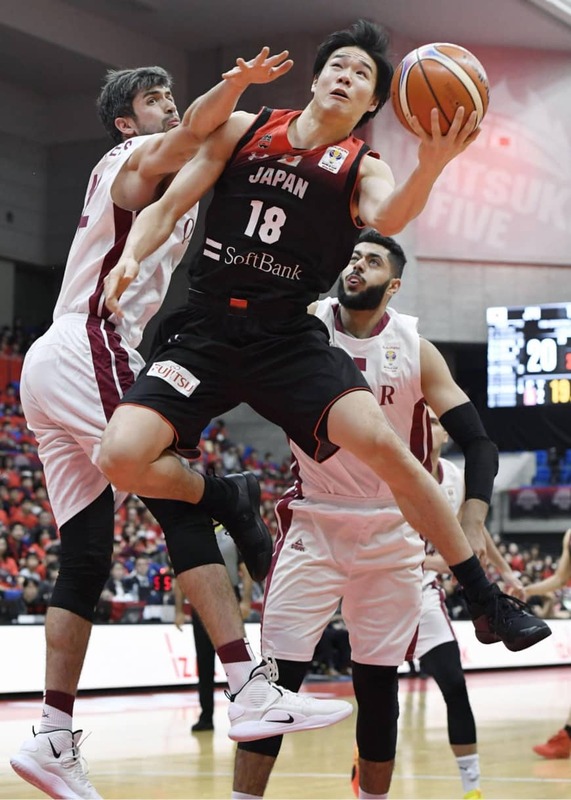 “We knew Qatar would get tired and slow down in the second half, and we were determined to play our game,” said Hiejima, who was 3 of 4 from beyond the 3-point arc. For Qatar, Mohd Mohmmed and Abdelrahman Yehia Abdelhaleem each scored 10 points. Mohmmed led the team with five rebounds.